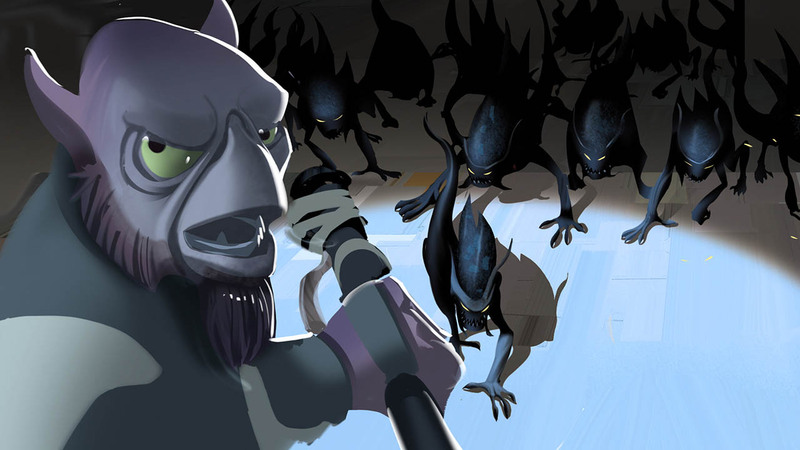 From the murky depths of the waters of Naboo to the maelstrom surrounding Kessel, the darkest corners of the Star Wars galaxy are filled with nightmarish and misunderstood (and quite often hungry) creatures. 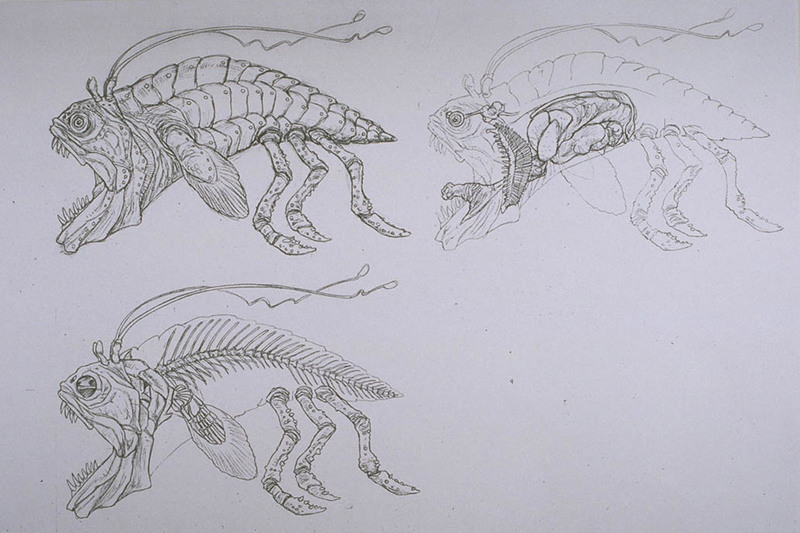 The artistic concepts and practical designs for such beasts are the first steps in the journey to creating monsters that elicit a visceral reaction, the realization of our most terrifying childhood fears come to life with snapping jaws and scraping claws. 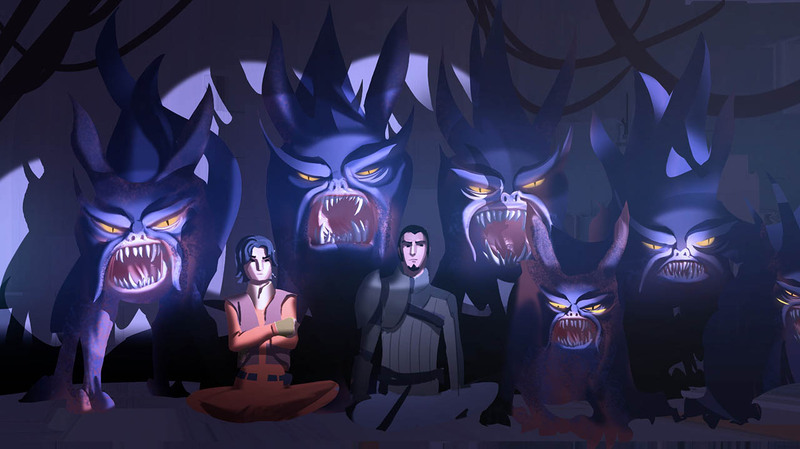 They also have their own stories beyond their roles as menace and indiscriminate maw. Some are imprisoned but treasured (and even mourned) while others are simply ravenous or defending their home turf from raiders and pirates. 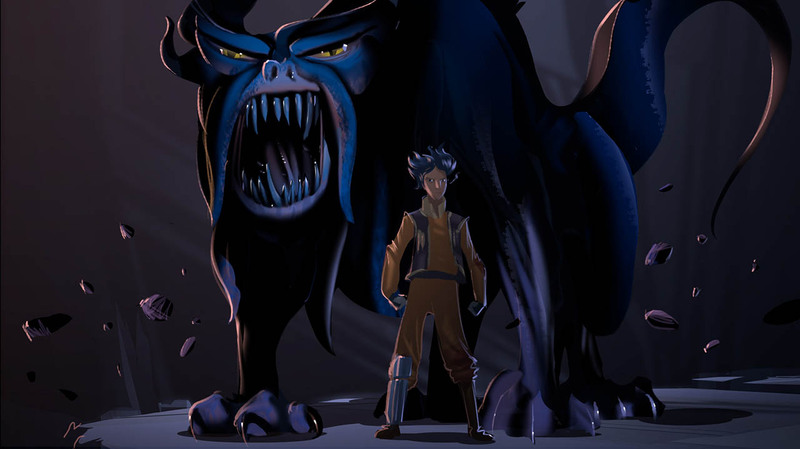 Still, even when you sympathize with a beast, it’s unwise to get too close to its gnashing teeth. 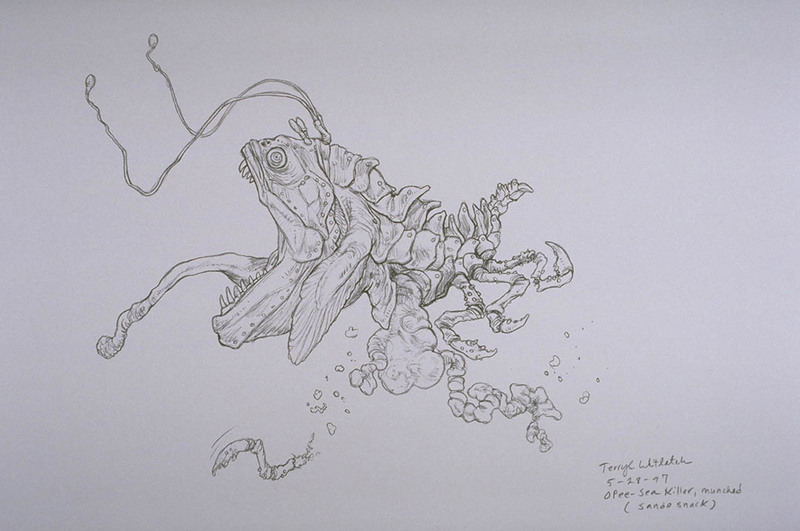 The first thing you might notice about the opee sea killer is its gaping mouth, especially if you’re seated in a Gungan submarine getting reeled in by the monster’s gooey tongue, a design choice that conceptualized the luminous creature of the deep as little more than an enormous jaw grafted onto a hybrid fish-crab body. 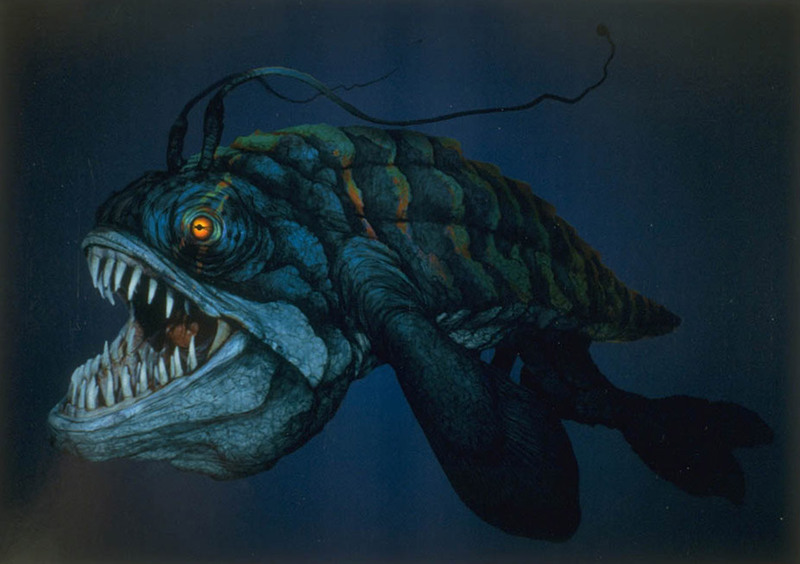 Real marine life, like the deep sea anglerfish, also helped inspire the menacing and hungry sea monster, which latches onto the Gungan vessel carrying Obi-Wan Kenobi, Qui-Gon Jinn, and Jar Jar Binks with a flick of its long and incredibly sticky tongue. 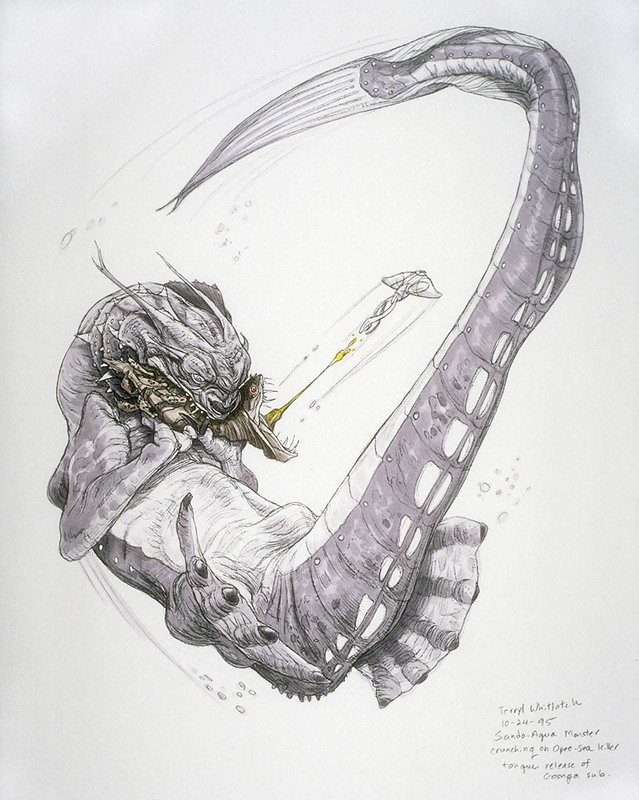 Although quickly proven to be far from the most deadly thing lurking in the waters of Naboo — “There’s always a bigger fish,” as Qui-Gon says when the sando aqua monster swoops in to make a quick and easy snack of the comparatively tiny menace — the opee sea killer came the closest to living up to its name and devouring the Jedi and their Gungan friend before they could reach the surface of Theed’s Solleu River. Dwelling in the murky maelstrom surrounding the planet of Kessel, the summa-verminoth was first envisioned as a monstrous jellyfish swimming among the stars with the Millennium Falcon plotting a course straight through its head. The idea “came from throwing dumb ideas out in a meeting,” James Clyne, Lucasfilm’s design supervisor on the film, said in The Art of Solo: A Star Wars Story. “I literally opened my sketchbook and pitched, ‘What if the Falcon had to fly through a jellyfish?’” he said with a laugh. 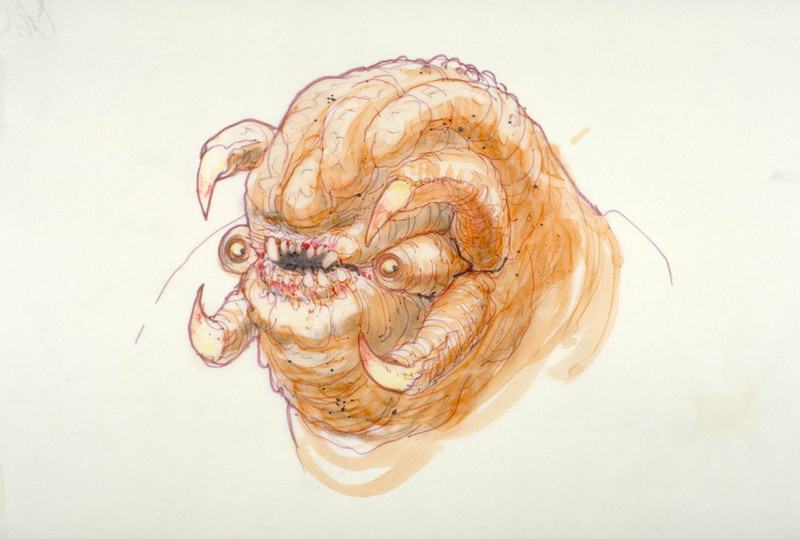 But director Ron Howard liked the idea so much that Clyne and his crew of artists set to work sketching what would become the creature’s enormous eyeballs. 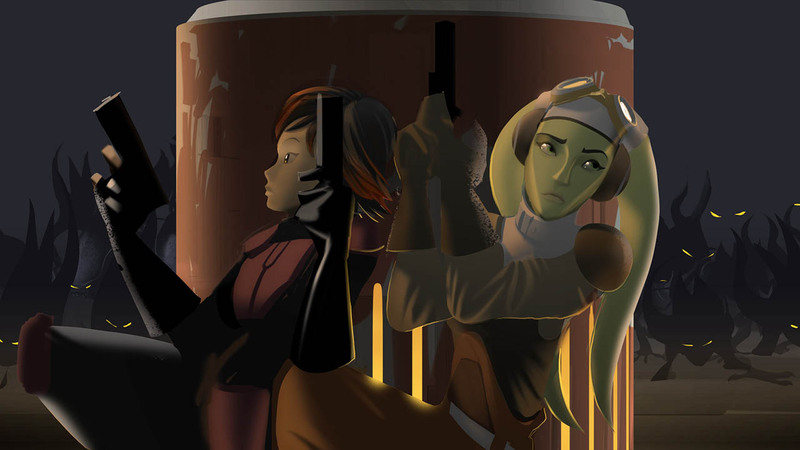 “Again, that was just me doing a drawing and being like ‘What if we did a big eyeball, guys?’ It was kind of terrifying,” Clyne previously told StarWars.com. The gleaming blue eyes and innumerable tentacles soon included a toothy mouth, the better to chomp on recently jettisoned escape pods. But that lust for shiny ship debris would prove to be the creature’s undoing — venturing too near the gravity well stripped away its flesh before it was lost to the merciless pull. 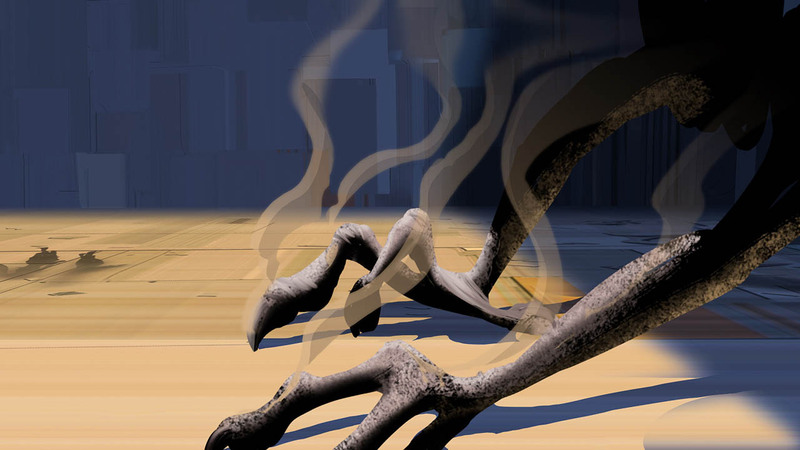 Emitting a mournful cry, it’s hard not to feel sympathetic for the creature. Under different circumstances, the summa-verminoth could be just another gentle giant floating through space trying to survive. The bright, snow-covered terrain of Hoth can be blinding, and that’s perfect camouflage for a hungry wampa in search of a meal. In creating the towering, horn-headed carnivore, designers went through no less than three incarnations to perfect the snarling visage of the wild beast. 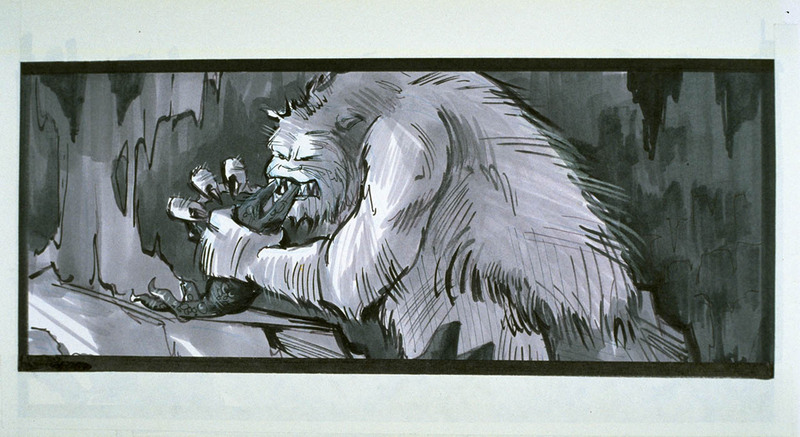 First designed in 2-D by Joe Johnston (and later reimagined for the Special Edition by George Hull), puppet master Stuart Freeborn built a full-sized suit from sheep and goat skins complete with stilted boots to turn 7-foot-4 actor Des Webb into the 11-foot-tall space yeti. 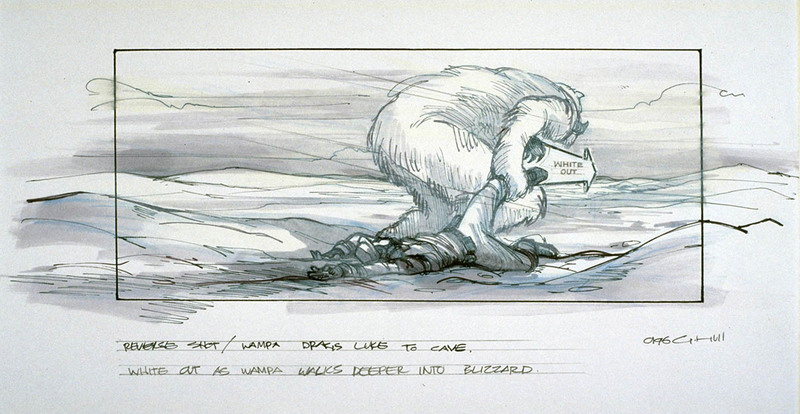 But the suit was too cumbersome even for the wampa’s lumbering steps, and after meandering just a few feet, Webb would often face-plant in the snow, according to The Moviemaking Magic of Star Wars: Creatures and Aliens. 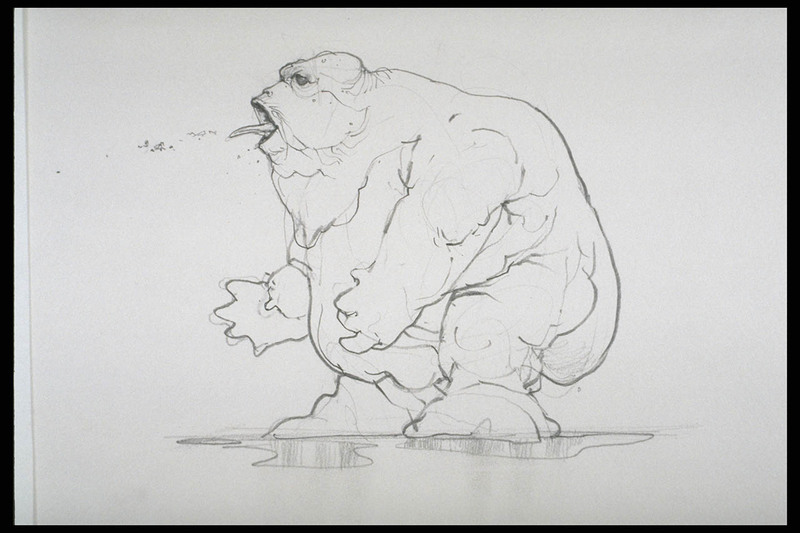 A redesign of the creature’s head and eyes made the wampa appear a little too cuddly for George Lucas’s tastes, so Phil Tippett created another more ferocious incarnation. 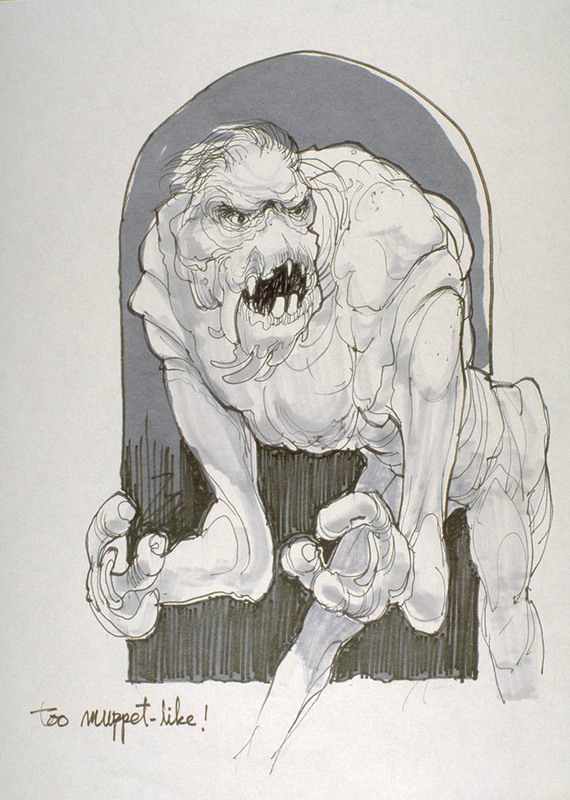 For the Special Editions nearly 20 years later, designers took yet another crack at the mysterious creature who would feast upon the smelly carcass of a tauntaun and drag an injured Luke back to its lair to leave him dangling for later. 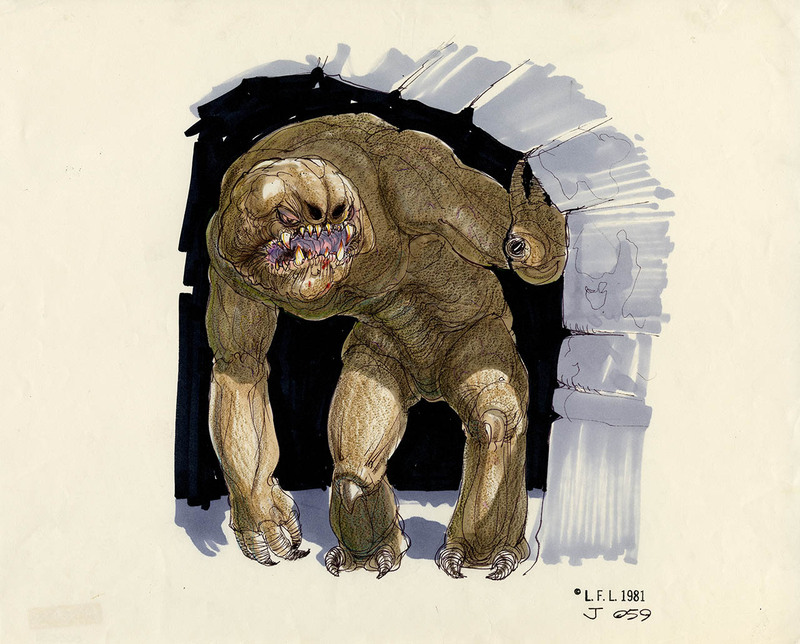 Caged in a hidden pit below Jabba the Hutt’s throne room and tended to by a kindly keeper, the rancor was a misunderstood beast, a victim of circumstance whose hunched, spiny posture and sharp claws created a most fearsome first impression. With threads of spittle dripping from its bone-crunching jaws and two dull, beady eyes, the rancor would attack anything that came within its grasp, stopping only when it was caught by the same sharp metal gate that had kept it from being free. 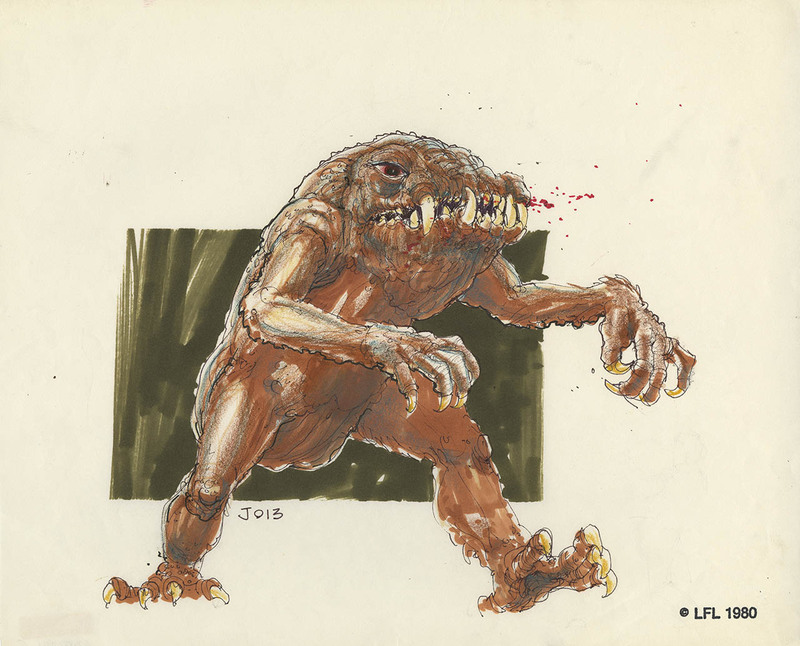 The creature went through several incarnations — a more docile beast with a potato-like body, a lumpy head with spidery mandibles, and even one version that was deemed “too Muppet-like,” according to hand-scrawled notes. Eventually, artists settled on long, sinewy arms, clawed hands, and an enormous head, dominated by a wailing mouth to complete the imposing monster’s look. Executing the idea was another problem, as the design was conceived to costume a performer but the dimensions didn’t fit a human. The final costume was an elaborate mix of puppet effects and suiting that took three people to operate but was still limited in terms of movement, and eventually replaced by a pint-sized (yet still incredibly ferocious) puppet for the final shot. Special effects master Dennis Muren filmed the 18-inch puppet at a faster-than-normal speed to give the creature the weight and grandeur of a 16-foot-tall behemoth, a vision of terror that has endured for generations. 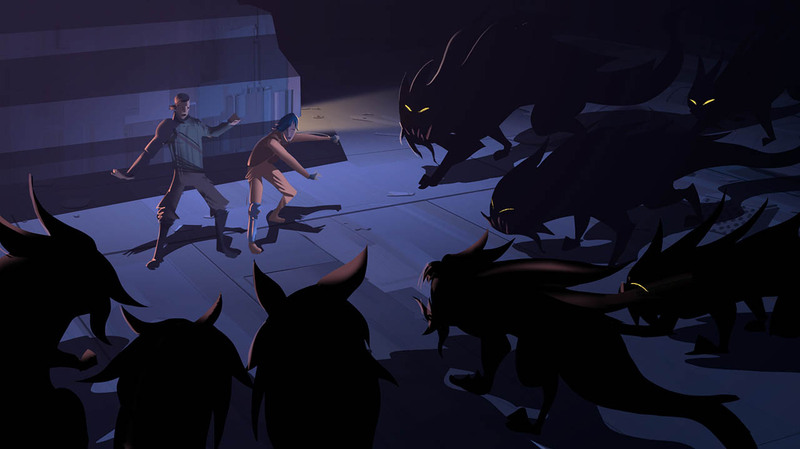 Lurking in the darkness of the abandoned rebel base at Fort Anaxes, a fortress built on an asteroid, the fyrnocks made their home in the shadows leaving behind little more than telltale gashes from their sharp claws. The sun seemed to be their only weakness, sending them scurrying away from the light, their glowing yellow eyes peering out from the dark. 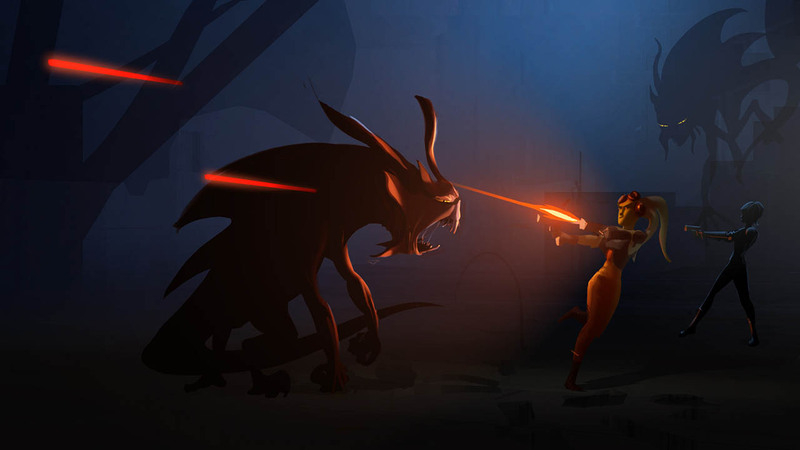 Although a menacing sight emerging from the base ready to attack or prowling around with clicking claws and fangs, the creatures could be tamed through the Force, or at least summoned to formulate a more strategic attack on foes. 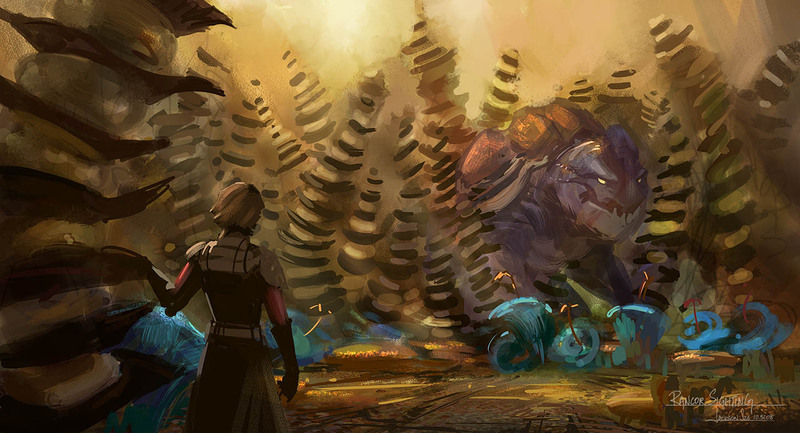 In lighting concept art, the fyrnocks take on something even more akin to a horror-film quality. Their skin smokes and sizzles in the sunlight and their teeth end in more vampiric points, like rows of long needles. It’s enough to make anyone fear the dark. 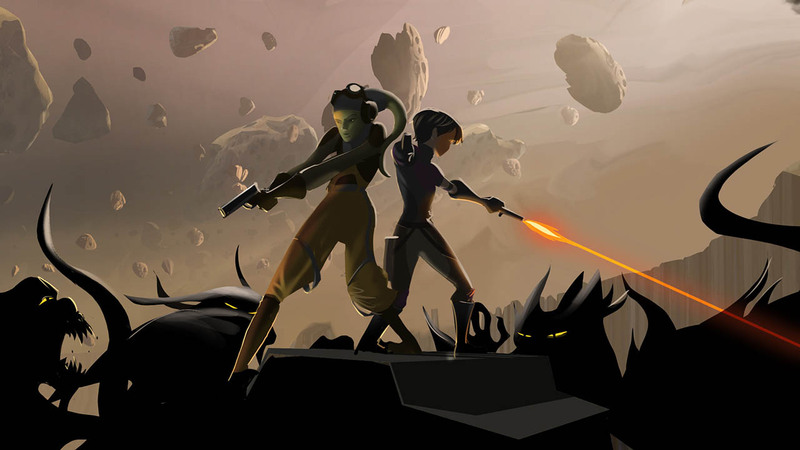 Featured concept art by Doug Chiang.